I never finished The Evil Within. I’d say it’s on my Pile of Shame™, but to be honest I’m not very ashamed—I hated it. I hated its clunky player movement. I hated the boss battles, which were often about as buggy as they were annoying. I hated how long it took your character to open a damn door. Most of all I hated the save system, which spaced out checkpoints an infuriating amount sometimes. After banging my head against it for five hours, I quit and never looked back. Until last week. Last week I reinstalled The Evil Within. Why? Because for all that I hated the original, I find myself intrigued by The Evil Within 2. Intrigued enough to give Detective Sebastian Castellanos another shot, at least. Evil Within 2 ($60 preorder on Amazon) hasn’t solved every problem. Castellanos still opens a door like it weighs 800 pounds and he has arthritic wrists. But the situation’s improved enough in other ways to stoke my interest again. Movement, for one. I played about 40 minutes of Evil Within 2, and while it’s subtle I would say it plays more like an action game this time around. Wait, wait, wait! I don’t mean that in a “dumbed down” way, nor do I mean they’ve stripped away the survival horror aspects! This is no Wolfenstein II. You’re not dual-wielding shotguns and storming through entire mobs of zombies—far from it. 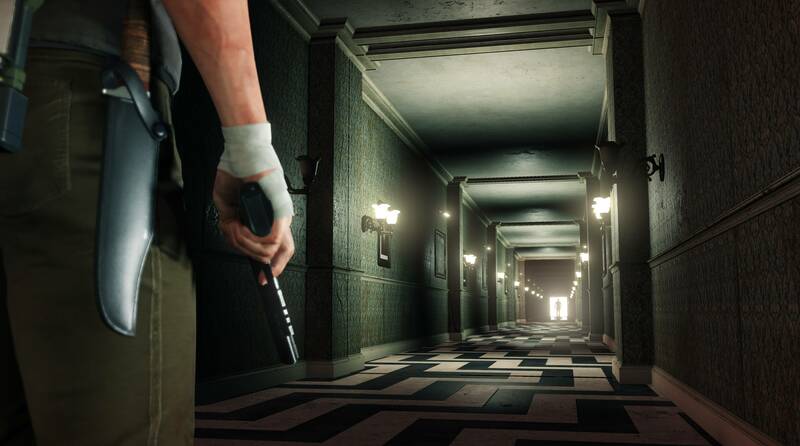 If anything, the original Evil Within’s aesthetic is not only intact but amplified. 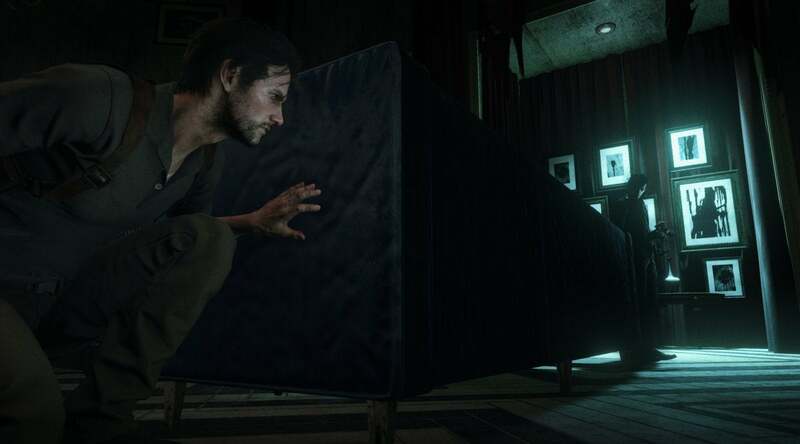 There are long stretches of Evil Within 2 focused on exploration, there’s blood and guts aplenty, and even a few disorienting architectural tricks a la Layers of Fear. 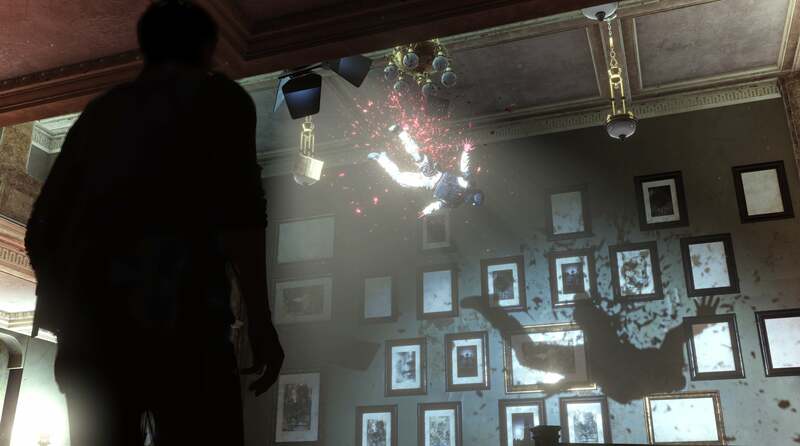 But The Evil Within often felt torn between survival horror and action. One second you’d be painstakingly rationing ammo and creeping around, the next you’d be forced into a room and the doors barred until you’d killed a dozen enemies, or blowing through ammo by the box trying to take down a particularly tenacious boss, all while trying to manage Castellanos and his asthmatic lungs. It was a good survival horror game but a bad action game, and the problem was that it kicked you into Action Game Mode too often. Some survival horror games manage to balance both sides of this game design see-saw— Resident Evil 4, for instance, which The Evil Within played spiritual successor to. But I just never felt like The Evil Within was comfortable in this hybrid state. The big combat moments were too numerous and too often unavoidable, and the result was just an artificially clumsy action game. 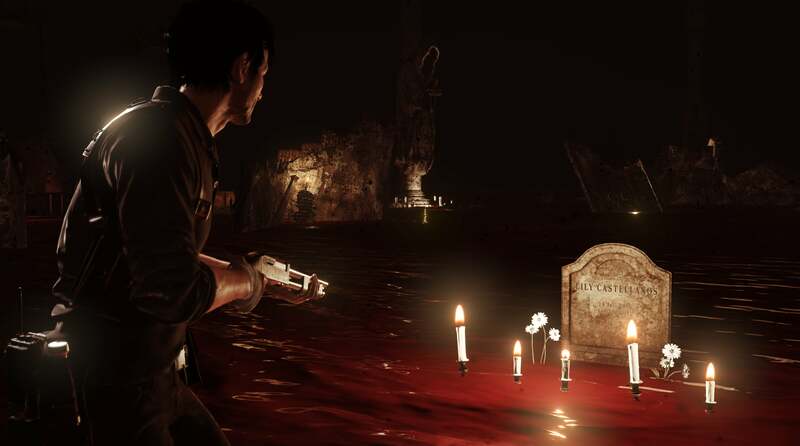 The Evil Within 2 keeps some elements—you’re still rationing ammo, still aiming for those headshots. On the other hand, Castellanos handles a hundred times better, the guns feel more powerful and more precise, and the game takes advantage by dumping you into more demanding scenarios. My demo was book-ended by a pair of boss battles, and while I wouldn’t say either will land on my “all-time favorite game moments” list I at least didn’t find them as aggravating as even the early-game bosses in The Evil Within. 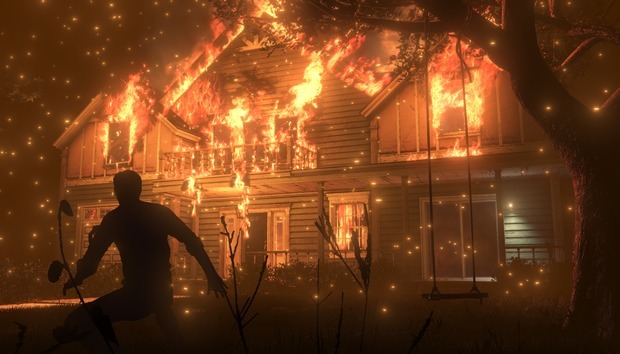 I’ve no doubt these changes will aggravate a certain number of fans from the first game, and I get it—true survival horror series are few and far between, and growing fewer by the year. (See also: Outlast 2.) But for my part I feel like it brings the “vision” for The Evil Within more in line with the reality, and results not necessarily in a streamlined experience so much as just a competent, well-playing game. It’s something I enjoyed my 40 minutes with, while still bearing the survival horror look. The look is what I’m most interested in anyway. For all that I hated playing The Evil Within, I fell in love with how weird it was. Constantly weird, too. From the eight-legged spider lady to the mental hospital you traveled to by staring into mirrors to the friendly-but-frightening nurse who greeted you at that hospital to the upgrade machine that stabbed needles into your skull—it’s hard to even write about some aspects of the original because they don’t even make sense. In context they worked, but put down on paper? It sounds like rambling. The Evil Within 2 takes the best aspects of the original and ups the presentation tenfold. In typical survival horror fashion the demo had me exploring a spoooooky mansion. From what I gathered though the mansion was owned by a photographer who, it seems, could freeze victims in place, their final moments playing and replaying for all eternity like the most morbid kinetic sculpture. In the main hall for instance I came upon a man falling from a second-story balcony—forever. He’d fall six feet, then teleport back towards the ceiling, then fall again, trapped and tormented like a modern-day Prometheus. Another section put me in a dead-end room, a photographer’s studio complete with a vintage camera, lighting setup, mannequin, and a floor-to-ceiling backdrop of a dimly lit hallway. After a bit of investigating I realized the scene depicted almost matched another painting on the opposite wall, except for a few missing elements—a brooch, a specific pose, some roses. Finding those elements, placing them, and taking a picture caused the formerly flat backdrop to turn into an actual hallway, and my exit. These aren’t even scary scenes—and I don’t think the original game is scary either, all told. But it grabbed my attention. The Evil Within at its best felt like a gorier version of an Outer Limits episode. The Evil Within 2, at least from what I played, nails that same feeling but with greater density and with more of an eye for what worked the first time, more psychological horror weirdness. That super stylish art-horror trailer Bethesda showed off at E3 is indicative of the tone of my demo, and that has me more excited than the first game ever did. That and, you know, the fact it actually plays decent. Do I think The Evil Within 2 is going to be a must-play experience? Eh, probably not. In a lot of ways it still feels like a B-game, same as the original. Even with a more polished presentation it’s comfortably niche. But for those who felt like the first had some good ideas buried under terrible decisions—people like me, in other words—I think The Evil Within 2 is going to be an interesting proposition. A lot of elements have been reworked, and a lot of the clunkiness hammered out in the process. What’s left, at least from my limited hands-on time, is a wonderfully artistic take on horror, and one that can focus on those elements because it’s better at switching off between action and survival as needed. I’m intrigued enough that, as I said, I even reinstalled the original and have been trying to force myself through it before the sequel releases October 13. Now cross your fingers that the checkpoint system this time around isn’t an utter disaster.